This did the rounds on design blogs aaages ago but it’s still one of the homes I’d love to live in out of all of them! Such a tranquil space, it looks like such a calming place to be, especially with that lush swimming pool in the middle. I can picture parties congregating in the outside space, some sort of Middle-Eastern dinner on the table and some cold white wine being served up, bliss. 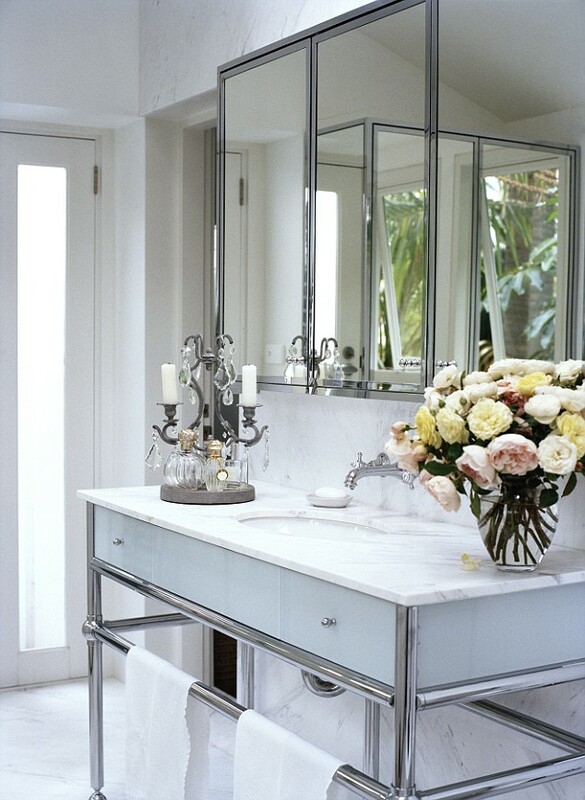 The original feature was in Elle Decor I believe, these images are courtesy of the Daily Mail’s website (of all places?). The very stylish homeowner next to that amazing courtyard swimming pool. Totally makes me want to move to Sydney! 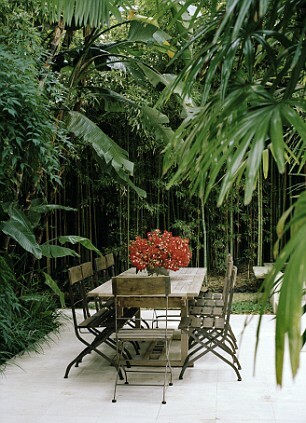 The very tropical-looking outdoors dining area…. The equally pretty indoor dining area, with doors leading out to the patio. 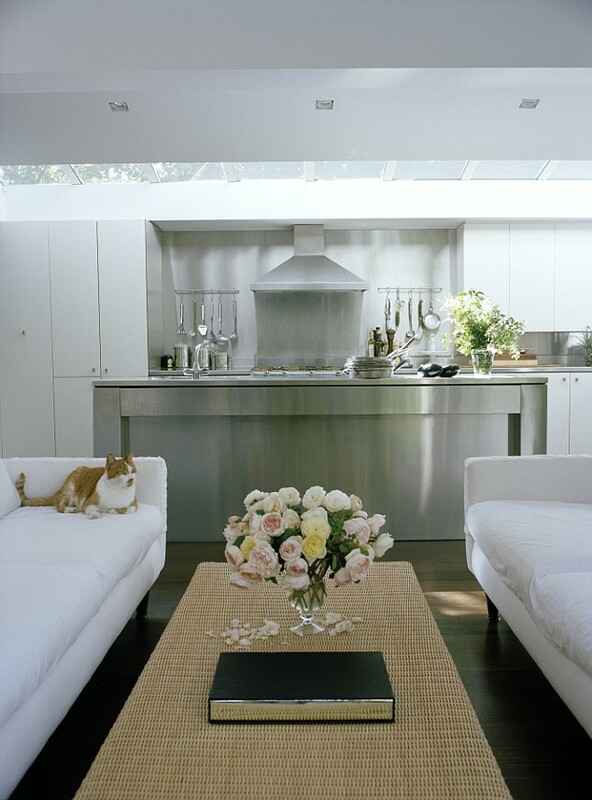 I love how the kitchen is a semi-masculine touch in an otherwise very girly pad; I think the stainless steel is a nice counterpoint to all the white. It also looks like a great kitchen to cook in and still be able to talk to guests at the same time. This whole house looks so relaxing!